Sending out a business promoting email blast to hundreds of recipients simultaneously can be a good way to promote a business, product or service. An email blast is an email that is sent to a mailing list or large group of people in your business contact database such as group members, event attendees, potential sponsors and others who may be related to your commercial enterprises. The blast can be used to broadcast announcements or send out newsletters, and since email blasts are usually sent out to hundreds or thousands of subscribers simultaneously, most blasts are managed using available free email marketing software or web applications. When sending an email blast, the goal is to write engaging and relevant content that grabs the attention of the readers, although blasts are also subject to the usual guidelines and rules regarding spam. The email marketing software and Internet applications that help manage and send email blasts will handle most of the technical aspects of actually delivery of the messages, but the author of the blast is totally responsible for the content and perceived values contained in it. In order to create and send an email blast, many people choose to use one of the many available free professionally designed email templates that are available on the web. The blasts can be constructed for specific target audiences and using a template makes adding text, formatting, graphics, and links to the message a straightforward affair. 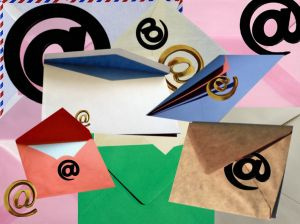 You can personalize an email blast with macros to insert specific information like the recipient's first name or organization, and macros can also be used to insert a unsubscribe link option to provide the readers with a way to stop receiving the blasts in the event they change their minds or no longer want to be associated with your business. You don’t have to use an email blast template however, as it is also common practice to create a unique email blast from scratch depending on the industry and the audience of course. After a blast has been sent, you can track opened, clicked, and undelivered mail, and review email failures with the help of the email marketing software chosen. Try to send your email blasts only to your target audience and readers who may have signed up for your newsletters, blog posts, updates, announcements, and other correspondence through your website, organization, or place of business. Sending blasts to the people who willingly subscribed to your content will increase customer participation and result in higher overall sales activity. Keep the subject title relevant to the content of the message and explain why your message is important and what the benefits are. Be sure to provide instructions on how to purchase your products and always including a link to your website and other important contact information. Do not, however, put attachments in your email blasts, and do not purchase your list of blast recipients from unrelated third party sources, as both are practices that will often result in your email blast messages being marked as spam.